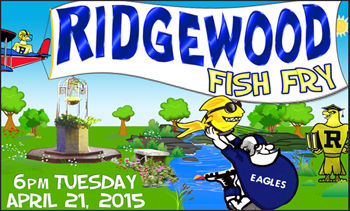 Ridgewood is hosting its Second Annual Family Fish Fry on Tuesday, April 21 at 6pm. Families, friends, alumni, students, and staff are all welcome to enjoy this social event at school. Come on out to Ridgewood and join us for lots of food, raffles, and fun! . Business owners are invited to donate gifts for the raffle.